Kansas State University Olathe is more than just a campus — it's a stakeholder in the community. Professionals in the Kansas City metro area come here to collaborate with industry, earn a master's degree or graduate certificate, advance in their careers and become an invaluable asset in their organization. K-State Olathe works with area K-12 schools as well as local industry to ensure tomorrow's leaders have the necessary education and skills for success. We're here for Greater Kansas City because of Greater Kansas City, and we're proud to serve. Are your sights set on a dream job or promotion? 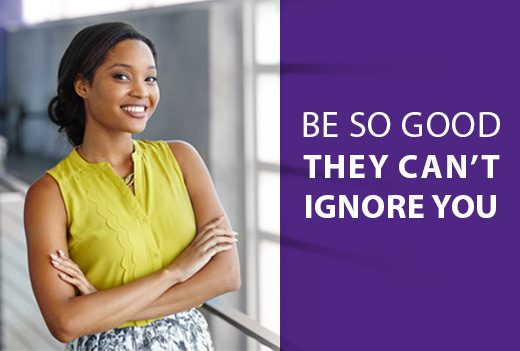 Then, be so good that they can't ignore you. It's time to earn your graduate degree or certificate that helps you make up to 15 percent more than those with a bachelor's degree — and stand out. | Take the next step.